The Jesus And Mary Chain have not released an album in nearly two decades, primarily due to the fact that brothers Jim and William Reid occasionally like to punch each other in the face. But time—and nostalgic opportunity—softens us all. And so, after several successful reunion tours, the band is back to making new music while suppressing their simmering fraternal rage. Following on the heels of Creation’s Alan McGee teasing its March 2017 release, we now have the full details of Damage And Joy, the first new Jesus And Mary Chain record since 1998’s Munki, along with the first taste via its lead single, “Amputation,” which debuted on Steve Lamacq’s BBC Radio 6 show. It’s also the group’s first new song since 2008’s “All Things Must Pass” (also included on the album), aka the only good thing to come out of the third season of Heroes. 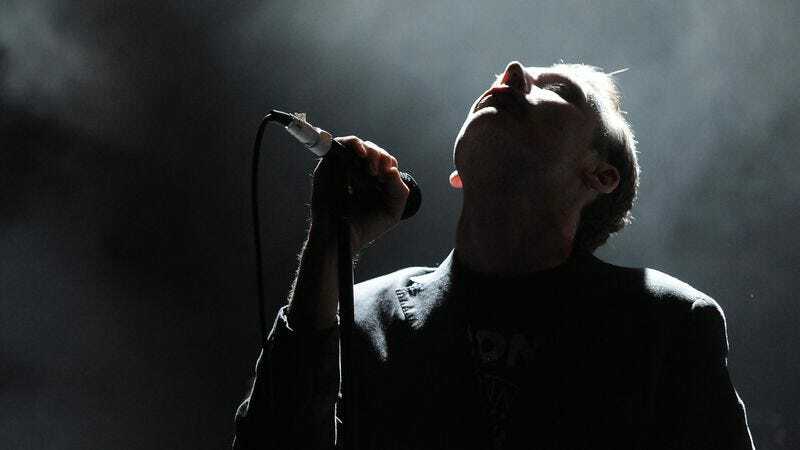 Back in 2015, Jim Reid suggested the new album would represent a “more mature sound” for the band, who evolved from the spitting, nigh-industrial feedback of Psychocandy to the melancholy pop of Darklands to their later albums that deftly split the difference. Listening to “Amputation,” it’s hard to see what’s “more mature” about it, exactly. All those same hallmarks are there: the blanket-thick guitars, the ’60s backing harmonies, laconic vocal delivery, lyrics about “rock ’n’ roll.” It’s a perfect formula that, while endlessly copied, didn’t need tinkering with—and it’s reassuring that, judging by this song at least, they didn’t try. Damage And Joy will be released March 24 via ADA/Warner Music. Below is the tracklist and cover art, the latter of which may remind you of an old man eating soup. Maybe that’s what they meant by more mature.